Ivaylo has been kind enough to grant permission to be used as a subject to show how I draw Starsector portraits – so now I shall show you how I draw Starsector portraits. Before we put pen to tablet, it is worth revisiting the stylistic standards and artistic goals in play. Let’s pull up an image of some portraits to demonstrate principles. First, the basics: These are painted in Photoshop on a black background at 512×512, resized down to 128×128 for the in-game art. 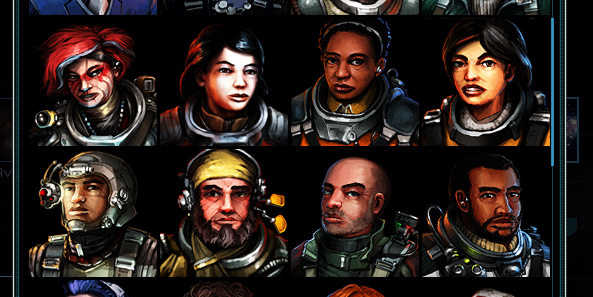 This was not the case in early releases of Starsector – then, I drew portraits at-res. Going higher res allowed me to use a more painterly technique and otherwise focus more on just making the image rather than worrying about where individual pixels end up. I’ve historically been enthusiastic about small-scale painting, but if it holds back technique, it’s gotta go. Now where were we? 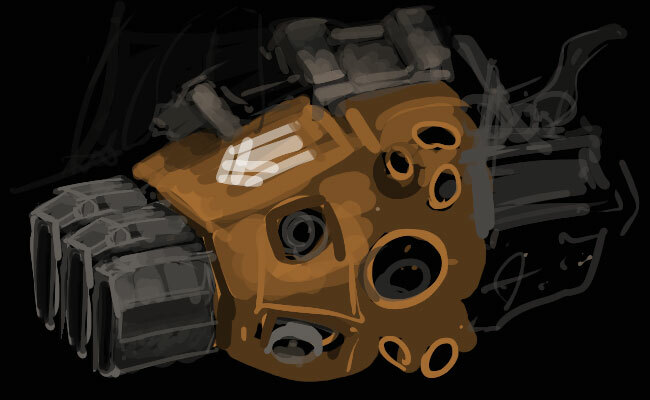 Oh, yes, Drawing A Starsector Ship Part 2 (read part 1 here). Hmm. While drawing this, I kept thinking “I’d rather be doing this experimentation on the sprite itself”. That, and I rather like the idea of echelons of squarish angle-corned thrusters for the primary drive with “barnacled” pods for the maneuvering jets. 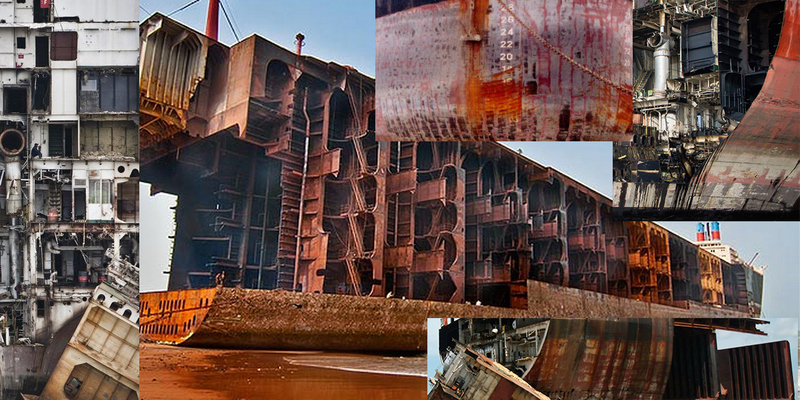 Well, let’s go back to the sprite and give these engines an overhaul, shall we? – To the pixels! Jumped in with doing some pixel-brush painting, blocking out a base area with a 100% brush then doing detail and texture with 1-2 pixel radius brush set to very low opacity, sampling bits of colour from around the sprite as needed.